The Talmud states, "When Adar enters, simcha (joy) increases." This year is a leap year in the Jewish Calendar, and therefore an additional month is added to the calendar. That additional month is always the month of Adar. This year I spent the first month of Adar contemplating what it might mean for a month "To enter"
This is just the kind of question that revs up my imagination. How can time enter? What is it entering? 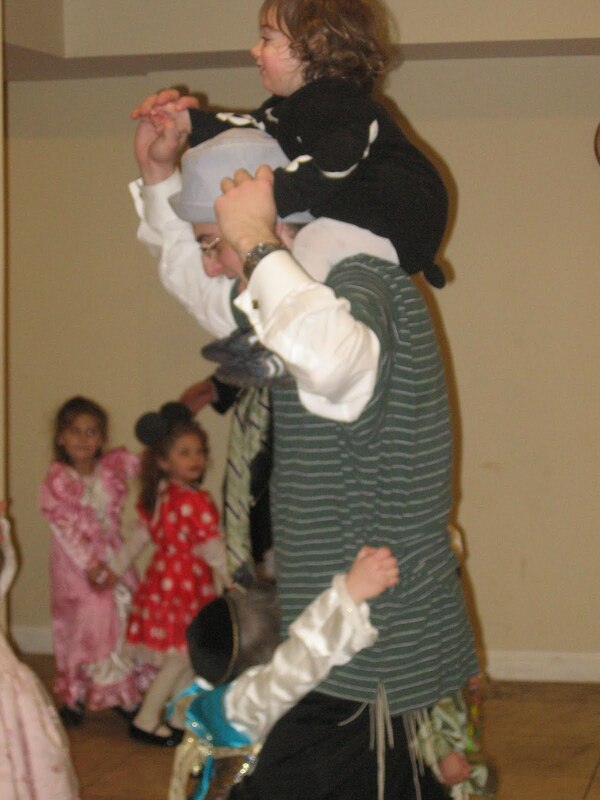 How is this increased simcha experienced or perceived? Like the proverbial tree falling in the forest, is the increased 'simcha' in the universe really increasing, or does it only increase if more people are aware of the 'time' change? Just like living with the reality of 'Shabbos' as a time frame with behavior parameters, I have been consciously thinking of how I can experience increased 'simcha' in Adar . It's a choice. Spiritual development is not a treadmill with an ever increasing incline. More effort, more gain, more sweat, more pain.What a delight to learn that there is a spiritual path that trains us for increased simcha- it takes just as much effort but the rewards are tangible. Life teaches us that being happy can be one of the hardest of the mitzvot. As I think about 'simcha' I am grateful for all that I have, that I am, that I share. In essence, I think true 'simcha' is about life, and our gratitude for every moment. Our challenge is to live this way and teach our children that true simcha is not about what we 'have' it is about the joy of life, and how we live, and what we can become when we strive to live life as the best person we can be andwhen we live in peace with each other. Posted in Joy, simcha. gratitude on March 10, 2011 by Ruth Feldman.